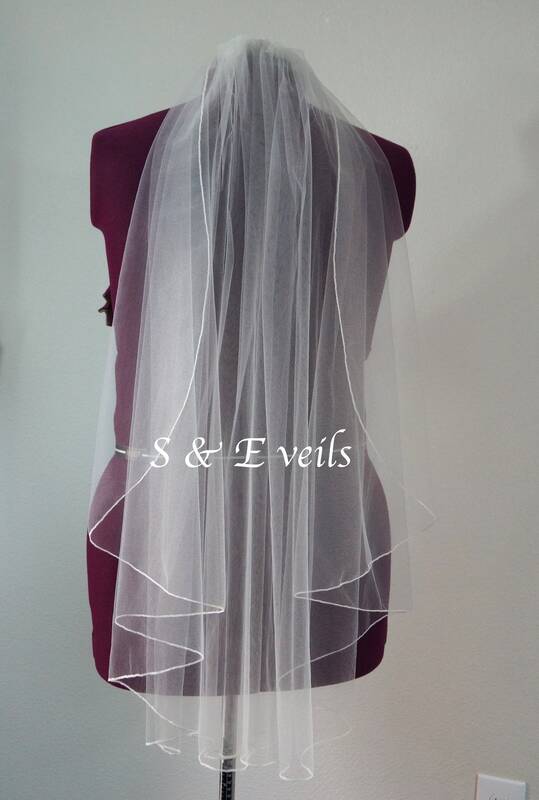 Angel cut with pencil edge finish and a metal comb sewn to the veil for secure fit. The veil arrived in good time. 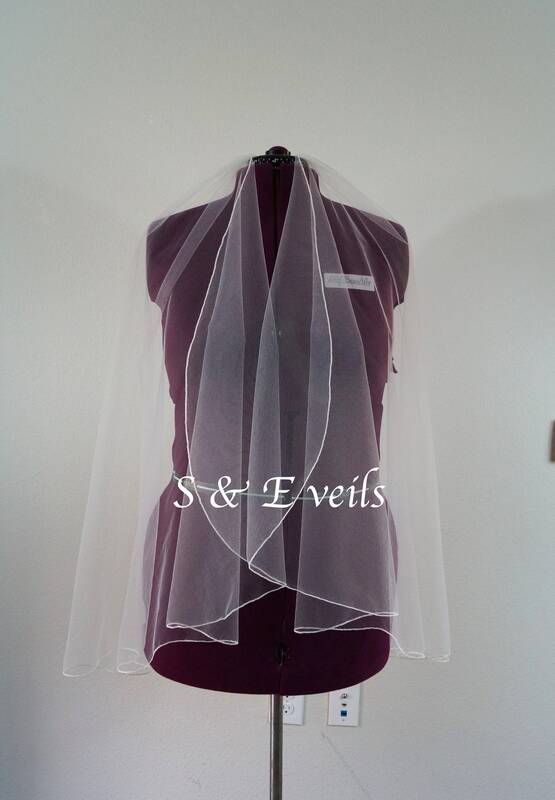 And its..just a veil. Nothing really special, i could have bought it anywhere.. Poorly packaged, veil badly creased, arrived in UK in an old cardboard box with a small piece of tape around it, with scruffy handwriting. The tape didnt do its job as the box arrived half open. The veil was inside wrapped just in a thin paper (no bag, bubblewrap, or protection at all), so anyone could have put their hand in and take it out..i guess i was very lucky. Service i would expect from cheap highstreet shop, not from shop recommended by ETSY. Contacted the seller with the photos of the state of the package, but got a short, snotty reply with no apology or aknowledgement of any wrong doing.Would not use this seller again. 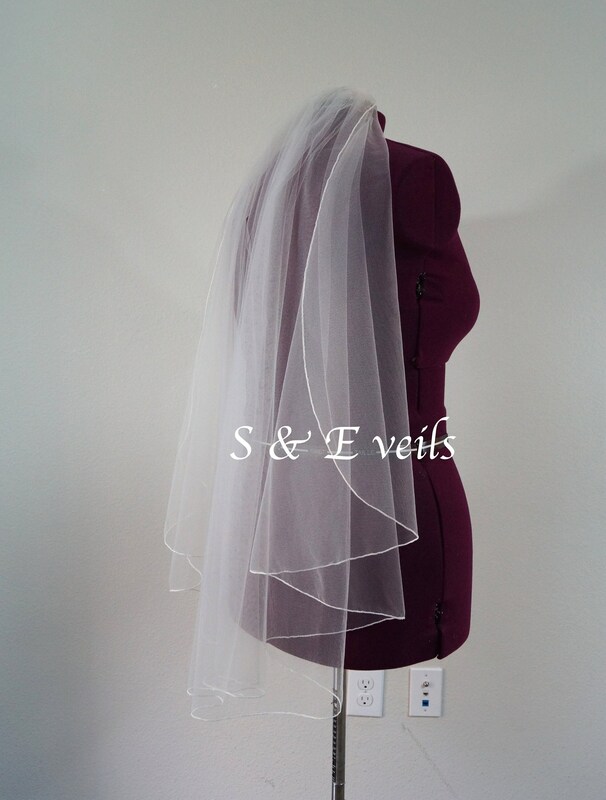 Very nice veil with pretty comb. Seller shipped very quickly with rushed shipping.